equipment items to be connected. Automated Technologies delivers expert commercial building automation engineering, design, training, implementation and service solutions to greater Minnesota and Eastern North Dakota. Professionally installed by in-house class A licensed journeyman electricians, as well as being a factory-certified variable frequency drive (VFD) installer and commissioner. We provide expertise for all your building automation needs. Automated Technologies provides turnkey facility automation systems using Automated Logic’s industry-leading WebCTRL software based on BACnet and open IT standards. WebCTRL provides a simple and flexible platform that integrates seamlessly into an existing site IP-based LAN while using Internet Explorer®, Chrome™ or other web browsers with no other special software as the user interface. With WebCTRL’s unparalleled 3D equipment graphics and thermographic floor plans, you’ll have your finger on the pulse of your entire building; whether it’s checking the status of an entire floor or verifying the performance and status of individual components within the system. Simple ease of operation lets you navigate easily through the entire system in seconds. 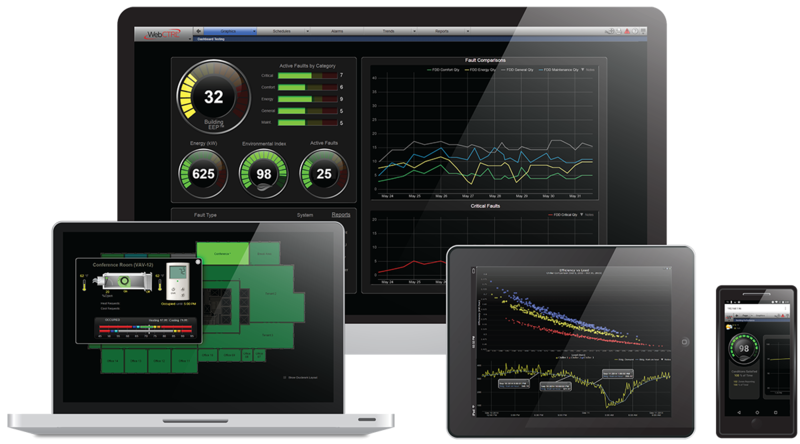 Save energy by scheduling your equipment and demand response load shedding and set system alerts for anything from preventative maintenance to system failures. Contact us about our capabilities and let us give you control of your facility.